Physicians receive years of training and they devote years to the study and practice of medicine because they understand that human error, when it takes place in a medical setting, can mean the difference between life and death. Every doctor is aware of the lasting consequences of their actions and inaction in the life of their patient, so they must take every precaution to protect their patients. Misdiagnosis or failure to diagnose: 33%. This includes misdiagnosis, and delayed diagnosis. If the patient does not receive the proper medical care for their condition, it may become worse and lead to death. According to the Institute of Medicine, most people will experience at least one diagnostic error in their lifetime, sometimes with devastating consequences. Surgical errors: 24%. Preventable medical errors such as wrong-site surgery, leaving tools inside of a patient, operating on the wrong patient, anesthesia errors can be the result of many factors including negligence, miscommunication among the medical team, fatigue, or incompetence. Treatment errors: 19%. Treatment for a medical condition or injury may include prescribing the appropriate medication, radiation treatments, physical therapy and countless other treatments. When a physician deviates from the standard of care in the treatment of a disease or injury it may result in illness or further injury for the patient. Obstetrics errors: 11%. From the failure to perform prenatal tests, failure to monitor pregnancy and delivery, birth injuries such as cerebral palsy or other brain injury, labor and delivery medical negligence pose an enormous risk to both the mother and her baby at what should be a happy time for the family. Medication errors: 5%. According to the Institute of Medicine, more than 1.5 million Americans become sickened injured or die because of an error in prescribing, dispensing and taking medications. Monitoring patients: 3%. A significant part of a physician’s role is to monitor their patients when they are under anesthesia, when a woman is in labor, when a patient is undergoing surgery or receiving some other medical treatment the doctor or other medical professional must watch for signs of complications. We know that doctors are not infallible and that they do make mistakes. However, not every mistake, unfortunate outcome or post-surgical complication amounts to malpractice. 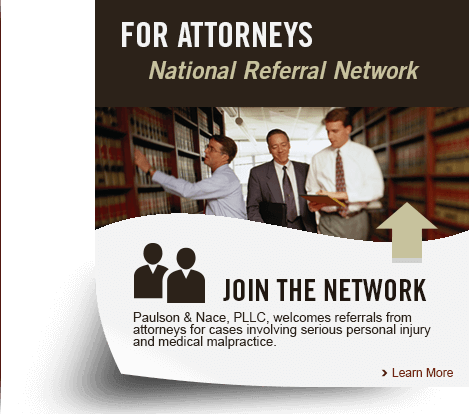 If you feel as if you have been injured, or suffered a harmful side effect caused by the negligent actions or inaction of your doctor or other medical professional, you should speak with an experienced medical malpractice attorney.